We are looking for wireless transducer to measure up to 500 MPa of momentary pressure for about 10 ms. The temperature would also go up to 2000 K during that time. We are looking for a measuring device that can measure pressure of -20 bar to 20 bar, perhaps you could recommend us from your product range that can suit our application. I am looking for battery powered level sensors typically to measure solid particles like ash, coal, etc. It should also have ZIGBEE support. We wish to have: image sensor, CMOS, 2d, B/W, highly sensitive at NIR, frame rate >60Hz. Format: smaller than 1/7". Resolution: QCIF. We are looking for a commercially available fast linear optical cmos sensor/ccd. 500 pixels 10x10um RGB 30 KHz. for aerospace applications. The sensors should not be wireless. And the signal integrity should be retained over a distance of 7 feet. We would like to take guidance and consultancy in realizing these devices. Our company wants to find out some prices for glucose sensors. We are looking for low cost, medium accuracy cup anemometer sensors for amateur wind speed measurement application. We would like to receive the complete list of manufacturers of IEEE 1451 Prototyping Kits. I am looking for metallic tube based linear heat detector unit. I have a regular requirement. Unit should be approved by UL or VdS or FM or Lloyds or equivalent. We are looking for some SCIENTIFIC references about the "cosine effect" in speed measurements by radar. On the web I managed to find only "popular" references or instruction manuals, which are not explained very well. I would like to measure a speed on a transmission. I am using a microprocessor. What is the best method to do this using a variable reluctrance sensor ? We are looking for a ultrasonic distance meter, which can measure up to 30 meters in length and has least count of at least 5mm. UK distributor of innovative sensor technologies looking for supplier of biometric sensing products to distribute in the UK and/or Europe. Fingerprint / palm or retina scan products for marketing to existing OEM and end-user customer base. 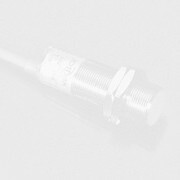 Looking for manufacturers or develops passive fiber optic voltage (up to +270VDC) and current sensors suitable for aerospace environment (-50 to +125/+150C). I need a working solution that detects the sense of rotation of cement mixer drums. Of preference a system already developed to install quickly. We are looking for three ZigBee devices. One, a very small battery powered passive infrared motion sensor. Two, a very small battery powered magnetic contact (door open/closed) sensor. Would like to make contact with Europe based companies who are interested in distribution of innovative Mesh network and IP embedded sensor systems for measurement of temperature, humidity, light level etc. We are looking for proximity/ distance measuring sensor for automated measurement of Human height for Medical purpose. This is for commercial production of a medical device for automated measurement of Human height. The sensor will be placed overhead. Pls. suggest a sensor suitable for human hair/ skin as reflective surface. Pls. send Data sheets, specs, commercial offer for 100 / 500/ 1000 pcs. Our annual purchase will be around 5000 pcs. If you have a suitable product for this application, we would like to have a sample for evaluation. If you do not supply this product, I would appreciate if you could advise other supplier/ product. I am looking for a high sensitive pressure transducer, which I can use for BP measurement within min time ,having very high CMMR. So kindly give me any idea about this type of Xducer as soon as posssible. Is there any low cost sensor that measures human body temperature that can be used in a circuit for automatic lighting switches? and is it available in the Philippines? at what cost? thank you very much! your response will be a great help and i will very much appreciate it. So I Need to know if you can produce sensors with these characteristics and offer for 30.000 pcs per year ? I'm looking for small devices that can receive and process sound signals and indicate if and when/where there are changes in frequency. Can you help in process? I am looking for a sensor to detect Hexan vapours. Please assist for a suitable product.